Every year, EBLIDA in cooperation with the National Authorities of Public Library in Europe (Naple Forum), organises the EBLIDA-NAPLE Conference in a different Member-State of the European Union. This one-day Conference usually brings together up to 120 participants from all over Europe to discuss the most up-to-date issues libraries are facing. The scale of the Conference provides an ideal networking opportunity between professional librarians and information specialists, Members of the European Parliament, policy makers from the European Commission, the host country as well as local representatives. 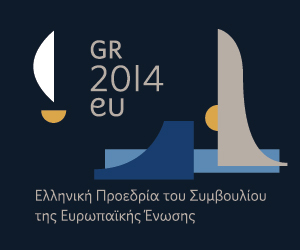 As a symbol of the ancient history of Europe, of the cradle of democracy as well as a country that deeply suffered and still suffers from economic turmoil, Greece would offer an interesting background to host the 22nd EBLIDA-NAPLE Conference highlighting the need for a strong network of publicly funded structures to disseminate information for the benefits of all European citizens. The subject of the Conference is “Libraries in transition: Changes? Crisis? Chances!”. The Conference will focus on the consequences of the technological, economic and social changes in European society, as well as on the role, the scope and the existence of European libraries in this context. E-books, copyright, economic crisis, immigration, multiculturalism – these are all subjects, among others, that could play a key role in the development of European Libraries. There will also be discussions about the consequences of the economic crisis on libraries (positive or negative), the role of the library in an era of economic crisis and possible solutions libraries can offer to contemporary society. Finally a discussion will take place on defining the current opportunities that arise for libraries dealing with changes and the economic crisis concentrating on subjects such as: library policy, the contribution of libraries to economic recovery and development, fundraising models etc. The Conference is under the umbrella of EBLIDA, organised by the Association of Greek Librarians and Information Scientists and hosted by the Technological Educational Institute of Athens – Department of Library Science and Information Systems.